While many collectors are quite particular, free cards are hard to turn down. Continuing their tradition of a special day for NHL collectors for the fifth straight year, 2016 Upper Deck National Hockey Card Day offers free packs for both American and Canadian collectors at select hobby stores, with exclusive cards available in each country. 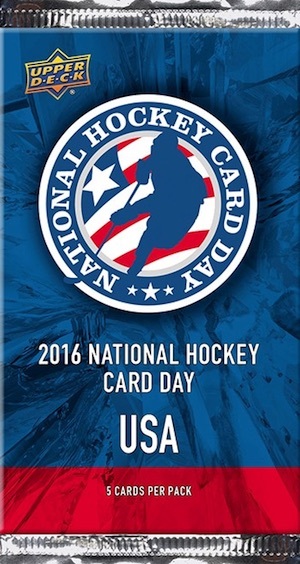 Shop for 2016 Upper Deck National Hockey Card Day cards on eBay. 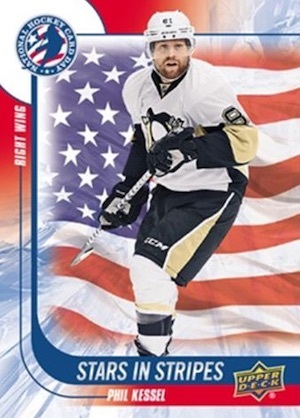 Including a total of 16 cards in the set, the American version features subsets like Stars in Stripes, American Rookie and American Icon. 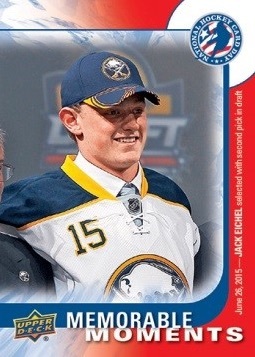 The final card is for Jack Eichel and includes a special Memorable Moments card that is a gift for collectors who spend $10 or more. The specifics for the Canadian are similar to the American version with 16 cards spread across subsets like Pride of Canada, Canada's Rookies and Hockey Heroes. 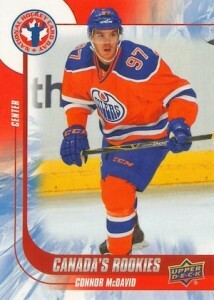 Coming as no surprise, Connor McDavid is the more limited Memorabilia Moments option available with a $10 purchase. 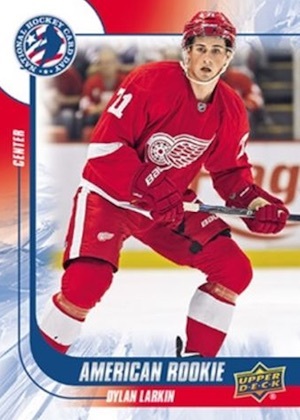 Limited Autographs can be found for both releases and Upper Deck mentioned that there is also a surprise Victory Black insert set that will allow American collectors the chance to find Canadian Rookies, like Connor McDavid, Max Domi, and Sam Bennett, and offer Canadian collectors a shot at US and International rookies such as Artemi Panarin, Dylan Larkin and Jack Eichel. The card numebering starts at VB-17 as the first 16 cards were issued at the 2015 Fall Expo. 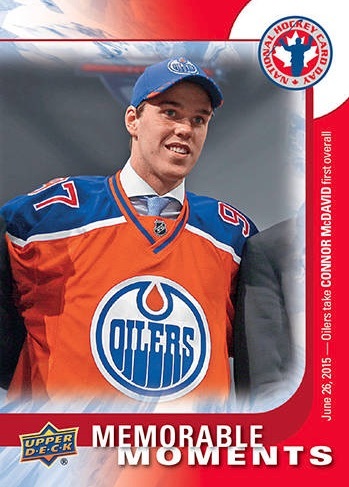 Given the hoopla surrounding McDavid and other key rookies, the 2015-16 hockey card market has been quite strong and should result in considerable interest for these promo cards. The American set is a hobby-only release that is exclusive to Certified Diamond Dealers in the United States. Canadian collectors can also find free nine-card retail card sheets at select London Drugs and Toys R Us locations. The specific date for the National Hockey Day for both the U.S. and Canada is scheduled for February 6, 2016. There is a limit of one pack per customer and supplies are limited. 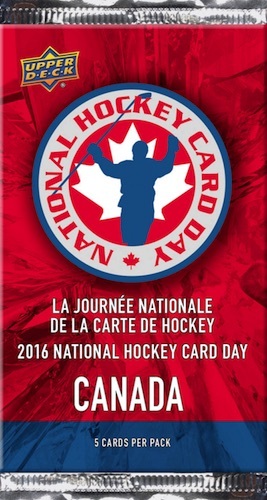 More details about the promotion can be found at the official Upper Deck site for National Hockey Card Day. 16 cards. There is also a checklist card. Shop for complete sets on eBay. 10 cards. Continuation from Victory Black promo at 2015 Fall Expo. what is the Canadian day? evan � It appears that they are both on the same day. 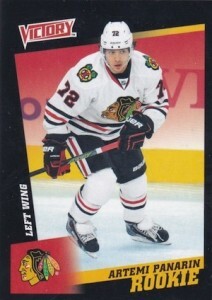 Where can you get these cards here in Canada? Specifically Vancouver? Jacob Co � Upper Deck usually releases a list of participating locations as the date gets closer. We will be Celebrating this Day Feb 6th in our Wallingford.CT store. Its a free Event so come join us and celebrate with us. I got a nice surprise in one of my packs this morning. 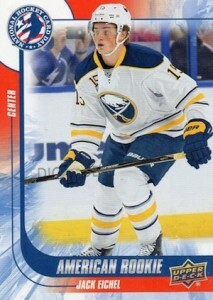 Among all the Hockey Day in Canada cards I suddenly pulled an Upper Deck Victory Black Max Domi Rookie. 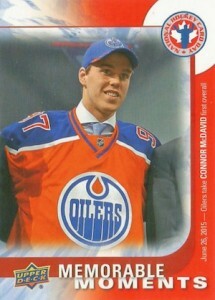 Someone told me there are Victory Black Rookies available in these sets, specifically Connor McDavid. SJP � Appears to be the case as several are popping up, McDavid included. We started compiling a checklist. Hats off to UD for organizing this. It was a lot of fun to see kids getting their first cards, and the chance to meet other collectors was fun too. The only negative has nothing to do with UD, but all the dealers who tried to capitalize on the inserts included in the pack. This promotion was meant to give free cards to collectors, not to make a profit for dealers.